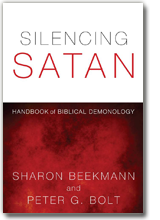 Silencing Satan: A Handbook of Biblical Demonology is for Christians in ministry, whether seminarians, pastors, Bible teachers, Christian counselors, or lay leaders. It is for all who desire an informed faith relevant to the gospel of Jesus Christ and supernatural evil. Each chapter reflects extensive research and is succinctly written to enable believers to quickly grasp biblical truths that expose the lies and half-truths propagated by popular culture. Rev. Sharon Beekmann and Rev. Dr. Peter Bolt teach that when face to face with supernatural evil in its various guises—apparitions, voices, sensations, false doctrine, and temptations to immorality—believers resist the devil and reflexively turn to Jesus and Scripture. They fight by living a radical life of faith, expressed through love and obedience to Christ. As they do, God himself redeems the evil that Satan intends for his vainglory. God is building his church, and the gates of hades will not prevail against her (Matt 16:18)! Rev. Dr. Peter G Bolt PhD is an ordained minister of the Anglican Church of Australia, Diocese of Sydney, and the Head of New Testament Studies at Moore Theological College in Sydney. He is the author of Living with the Underworld and Jesus’ Defeat of Death: Persuading Mark’s Early Readers, and the editor of Christ’s Victory Over Evil: Biblical Theology and Pastoral Ministry. The 13 lessons of this study guide help Christians develop an informed faith about supernatural evil and the gospel of Jesus Christ. 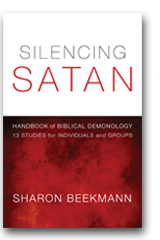 Each lesson refers the reader to significant teachings in Silencing Satan: Handbook of Biblical Demonology. Believers are challenged to live a radical life of faith, expressed through love and obedience to Christ. Seminarians, pastors, Bible teachers, Christian counselors, and lay leaders will find this study useful in individual and small group situations. A leaders’ guide is available in the appendix. 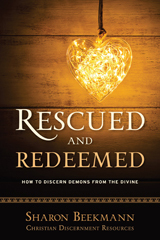 Rescued and Redeemed: How to Discern Demons from the Divine. Sharon Beekmann believed that the spiritual realm was a safe place to explore. But the spirits she contacted eventually controlled and attacked her. While in the demonic nightmare, God revealed himself, and later, Jesus Christ rescued and redeemed her. Her testimony is a powerful witness to the gospel and a useful resource for anyone oppressed by spiritual evil. Evil need not deceive and control us. Numerous people in the West are searching for meaningful spiritual experience by contacting “angels” and “spirit guides.” Sharon Beekmann’s story tragically illustrates that not all spirits have our best interest in mind.